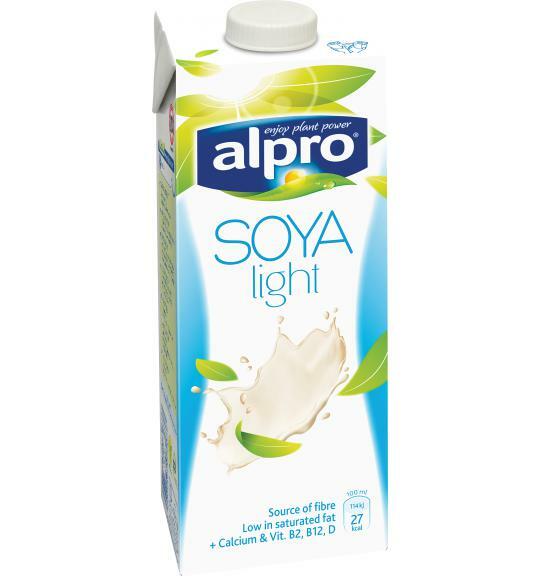 Alpro soya Light gives you all the plant-based goodness of our original soya - but with just 27 calories per 100ml you can relax and enjoy a little bit more of what you love. Brighten up your breakfast by pouring it onto cereal, into your morning cup of tea or coffee or whizzing into a smoothie. Start your day the lighter way! A source of calcium, just like milk. Contains vitamins B2, B12 and D.
Contains soya. Naturally lactose free & dairy free. Gluten free. Try these delicious recipes inspired by Alpro soya drink.